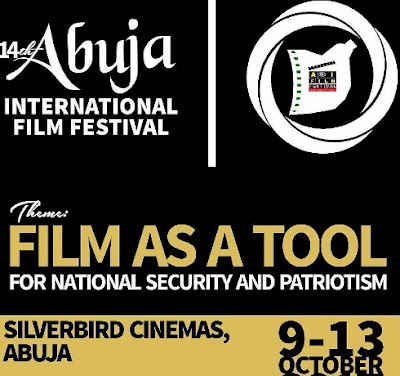 As the Abuja International Film Festival, AIFF, sets to hold from October 9 to 13 at Silverbird Galleria and Sheraton Hotel, Abuja, organizers of the annual festival have said that visitors from all over the world will grace the occasion. Festival founder, Fidelis Duker, announced this recently when he revealed that 3158 entries from over 70 countries put up for the 2017 edition of AIFF. According to him, India had 310 entries followed by the United States which had 258 entries and Iran (201 entries). Also, he said, entries were received from countries such as Trinidad, Tobago, Uzbekistan and Jamaica accounting for one entry each. Duker said that 70 films would be screened during the 14th edition of the fiesta, describing the entries as unprecedented since the inception of the festival in 2004. He added that this year’s festival has as its theme Film as a Tool for National Security and Patriotism. He said this year’s edition will surpass previous editions in the area of content and will have in attendance members of the Diplomatic Missions in Nigeria. Duker emphasised that the choice of the theme for this year’s festival has become incumbent on Nigerian filmmakers to begin to discuss the importance and role film can play in the area of National security which has become a major challenge globally. He also said the theme is double pronged in scope as the security of any nation cannot be complete without patriotism of the citizens and this is where he thinks the filmmakers who shape perception of society through their films have a role to play. “The festival will reward excellence in 15 competitive categories with five special recognition awards to deserving Nigerians for their contributions to the development of the Nigerian movie industry. The awardees for 2017 will be announced at the 2017 Nomination party scheduled for the 30th of August,” he said.